By Allison Graves on Tuesday, July 10th, 2018 at 6:00 p.m. When President Donald Trump unveiled his second Supreme Court justice pick, Florida's Democratic candidates for governor warned of dire consequences for access to abortion. Former U.S. Rep. Gwen Graham echoed Gillum. Businessman Jeff Greene, a newcomer to the race who sought a U.S. Senate nomination in 2010, took it a step further. With all of the talk about Kavanaugh’s stance on abortion, we wanted to see what he’s said and how he’s ruled on the issue. It’s worth remembering that the prospective justice will take more questions in the coming weeks about his position on abortion and Roe vs. Wade. 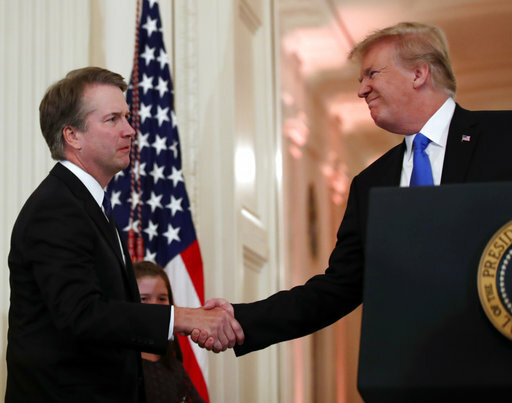 Trump said that Kavanaugh’s personal views on abortion didn’t come up in their meetings before the July 9 announcement. His dissent raises questions about Kavanaugh’s stance on abortion restrictions, but he did not express explicit opposition to Roe vs. Wade. After President Donald Trump’s administration barred an undocumented minor from terminating her pregnancy, the American Civil Liberties Union sued on her behalf. The ACLU argued that Trump’s administration was violating her constitutional rights by placing an "undue burden" on a woman’s access to abortion. Experts said that Kavanaugh’s dissent was really "somewhat" of a middle-ground approach. "If faced with the question of whether to overrule Roe, it’s far from clear where a Justice Kavanaugh would come down," said Doug Linder, a law professor at the University of Missouri-Kansas City. "He emphasized in his remarks that he respects precedent, but every nominee says that." "A woman’s right to make her own health care decisions is at risk" with Supreme Court nominee Brett Kavanaugh. Correction: Because of an editing error, a previous version of this story incorrectly described Jeff Greene's campaign history.